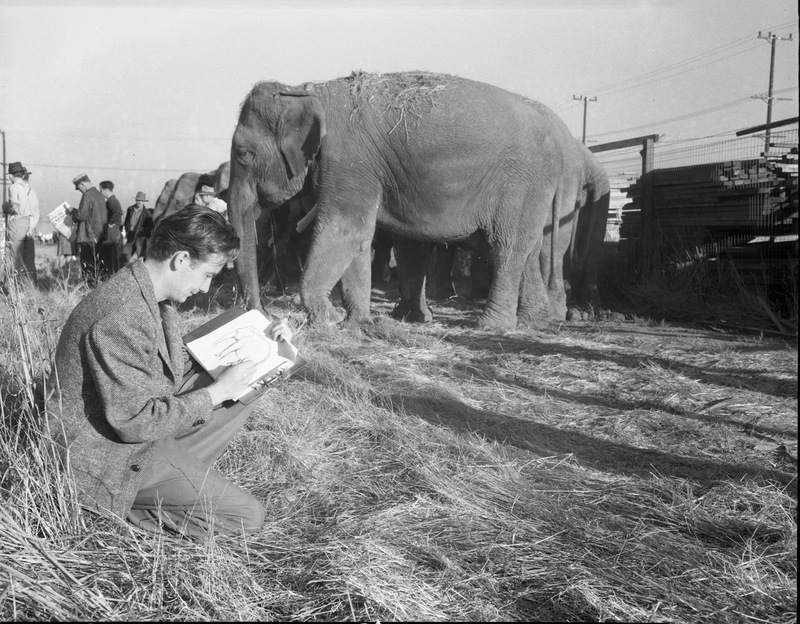 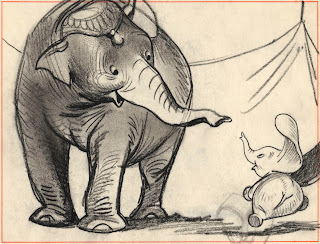 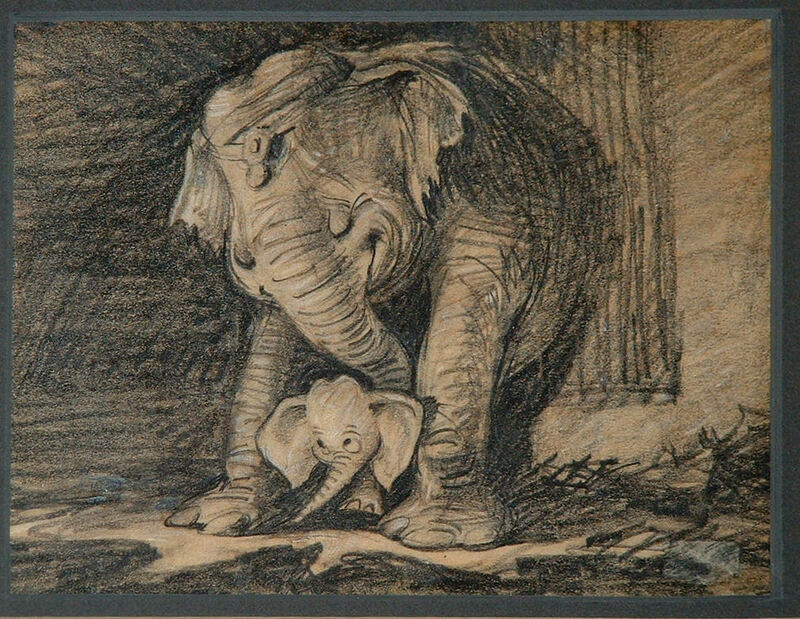 A young Bill Peet sketches elephants at a circus, backstage around 1940. 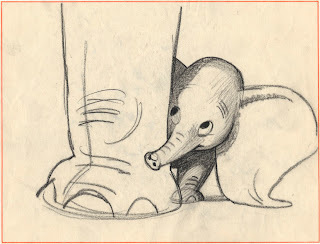 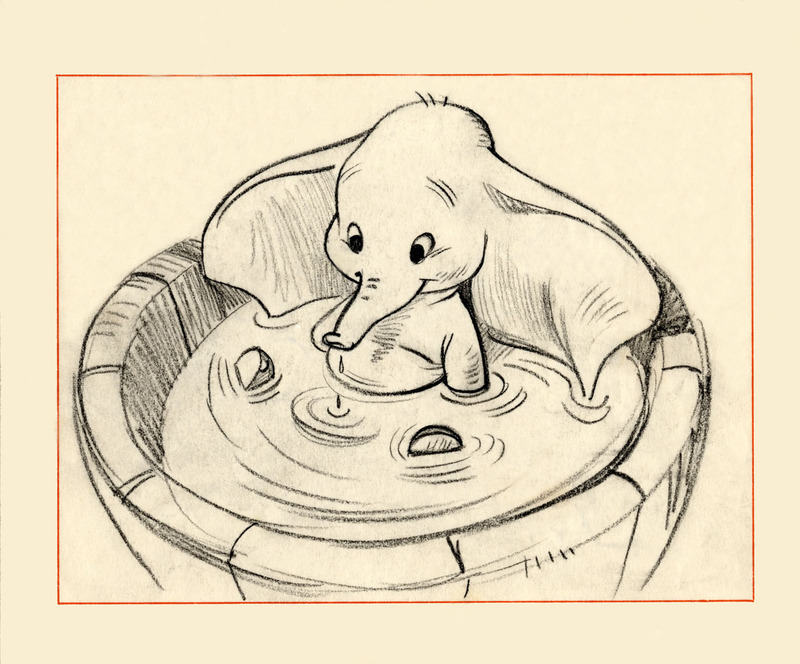 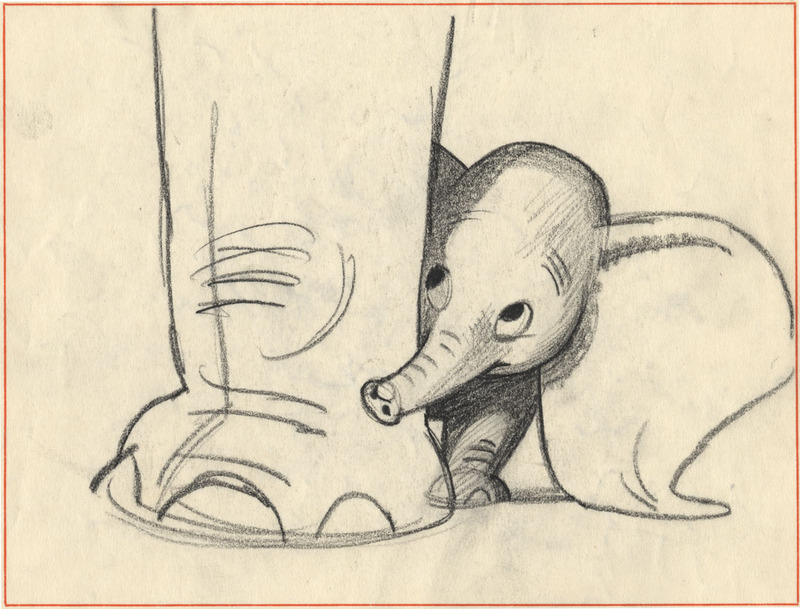 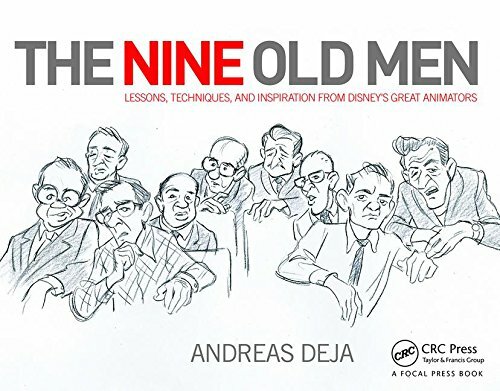 He ended up doing story work on critically important personality sequences like those playful scenes with Dumbo and his mother. 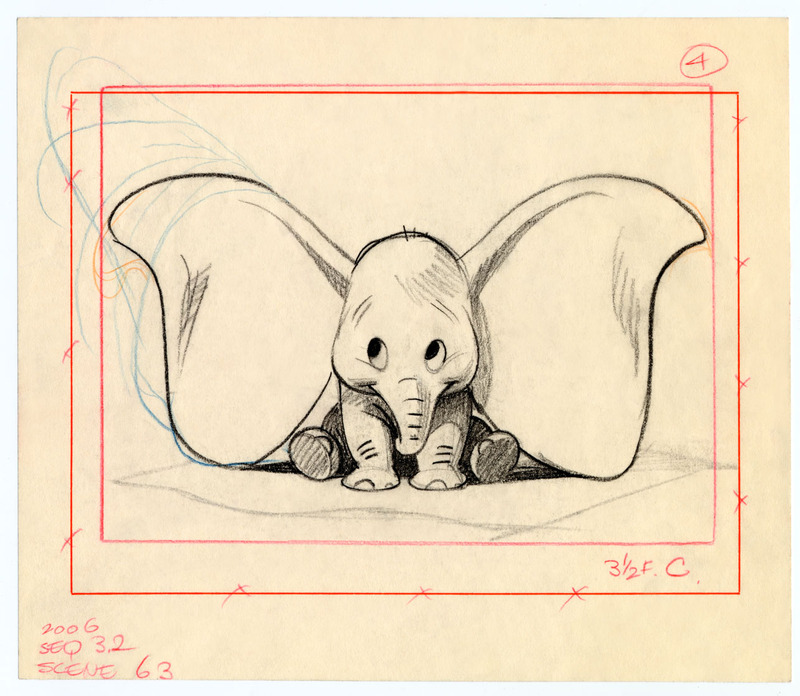 Bill Tytla saw the potential in these storyboards and turned them into animated gold. In the hands of lesser artists, emotional story material like this could have turned saccharine very quickly, but both men approached this assignment with such sincerity that you can't help but fall in love with these characters. The circus moves during a rainstorm at night. 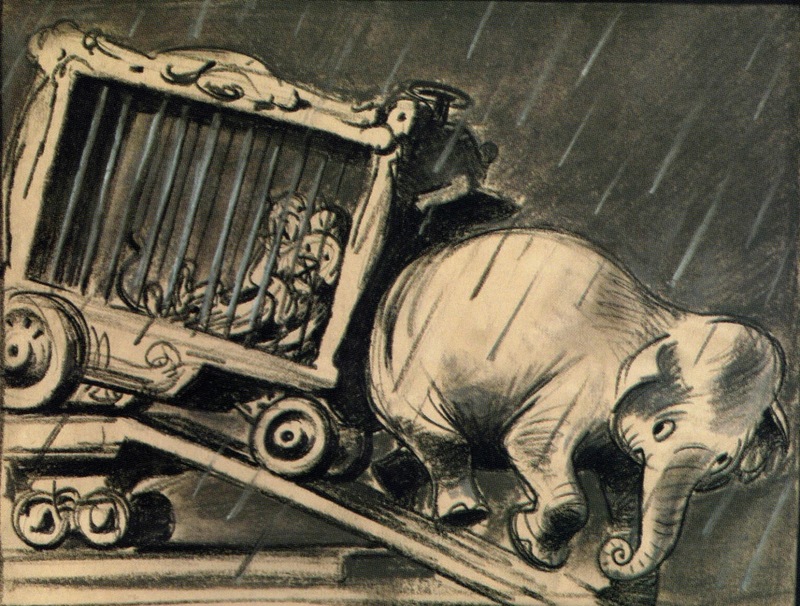 I love this sketch, you can feel the elephant using its weight to push the tiger cage up the ramp on to the train. 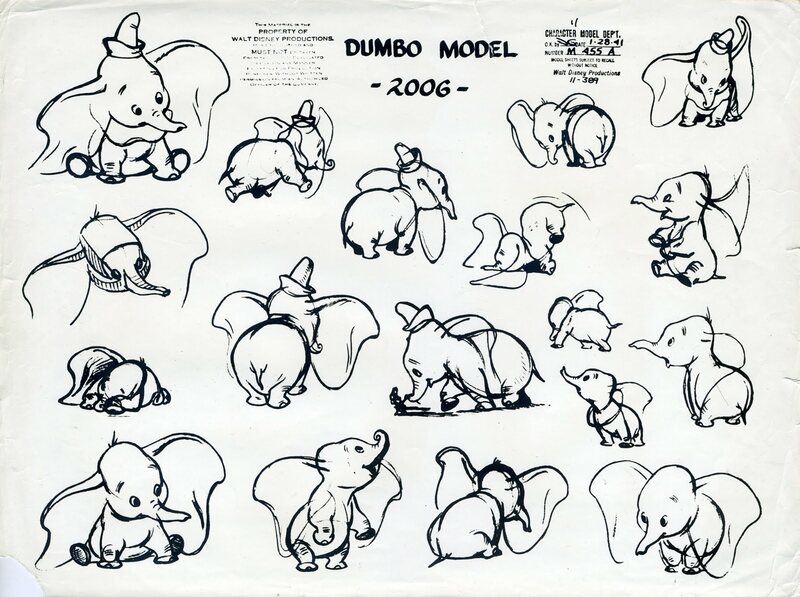 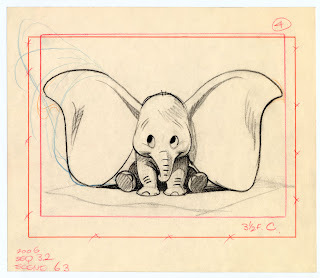 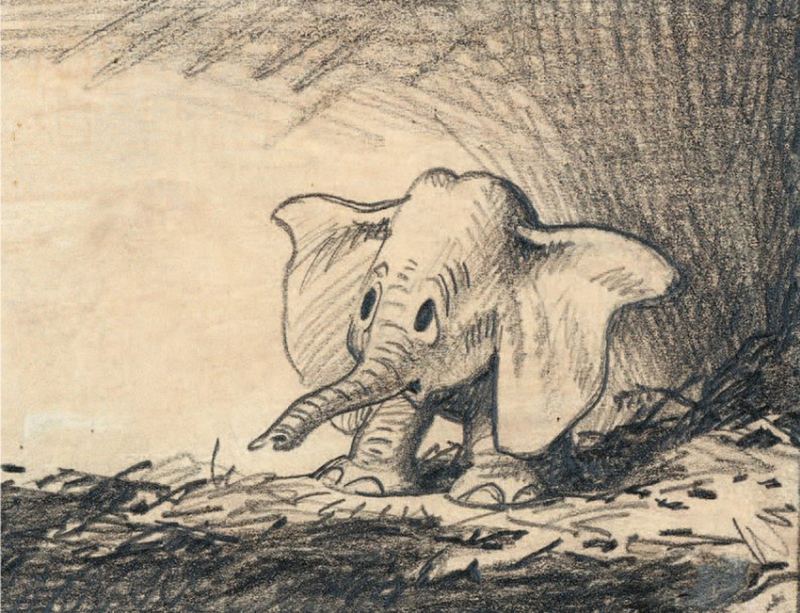 Peet came up with the final character design for Dumbo, those are his drawings on the model sheet. 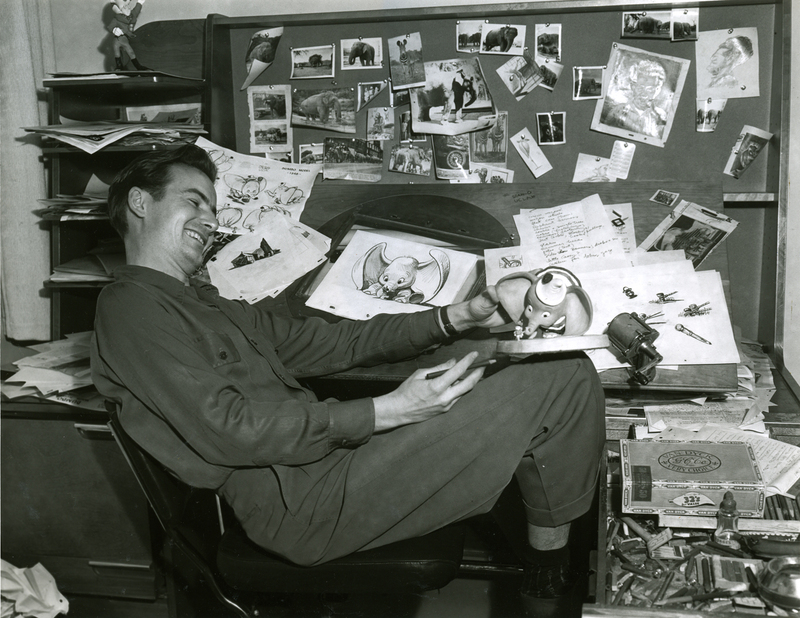 Bill Peet at work at the studio. It's fun to study all the research he assembled. 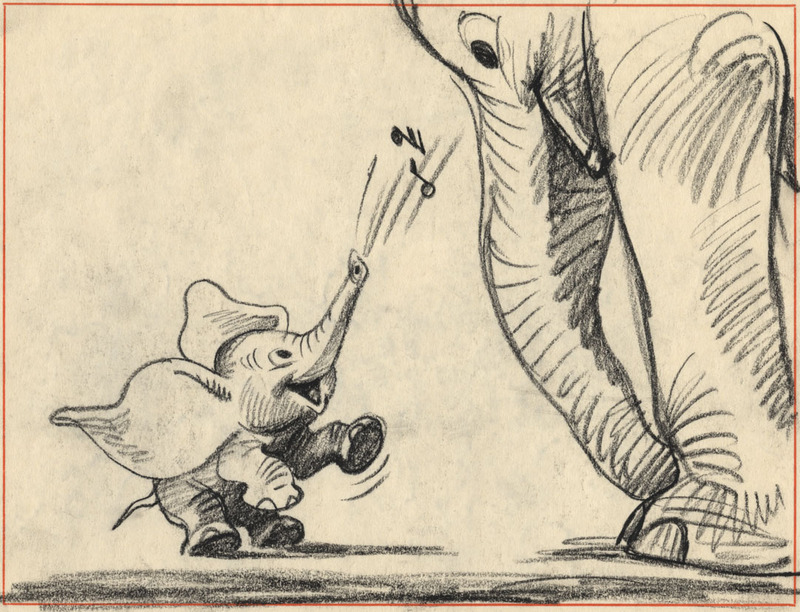 That's an early model sheet by J.P.Miller on his left. 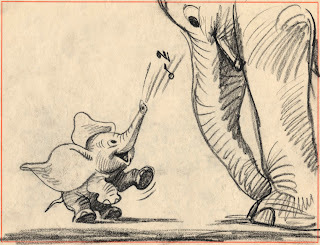 Peet was brilliant at handling elephants in his story work. 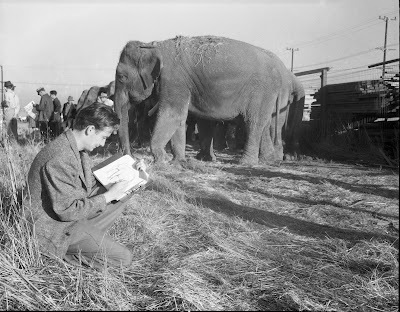 That's probably why he chose them so often as main characters in his many children's' books.